The hardworking staff yields to no man in our respect and admiration for Wall Street Journal columnist Jason Gay, but his cover story in today’s WSJ. Magazine is a flatout bad joke. First, there’s the cover itself. Not to get technical about it, but a certain Rafael Nadal is currently No. 1 in the ATP World Tour rankings. Then there’s the hed/subhed of the piece. Enjoying tennis too much to stop just now? Memo to WSJ: HE HAS STOPPED JUST NOW. Roger Dodger is currently ducking the French Open after sitting out the entire clay court season, obviously because of this (via Amy Lundy of FiveThirtyEight). Rafael Nadal is likely more dominant at clay-court tennis than any other athlete is at any one thing. Winning a set, let alone a match, against Nadal on clay can seem almost hopeless. As he nears 32 years old, he’s already won 56 clay-court titles and a record 10 French Open championships — with a chance to add an 11th next week. To be fair, Gay does mention Federer’s feet of clay. 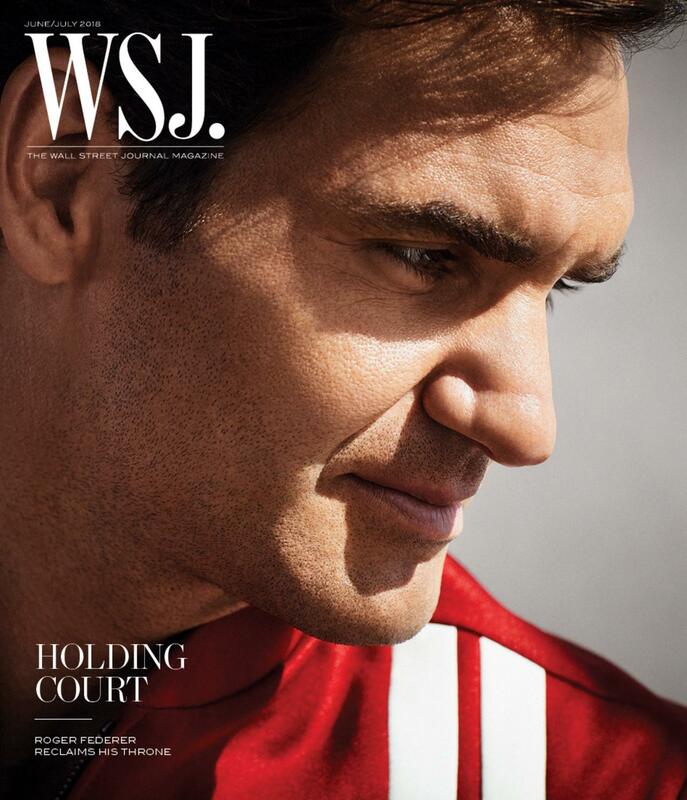 Federer has trimmed his schedule (this is the second year he’s skipped the clay court season) and remodeled his game, switching to a bigger racket, shortening points, turning his angelic one-handed backhand into a fearsome weapon. We get it that Federer doesn’t want to spend any time at Stade Roland Garros. We just don’t get the timing of Jason Gay’s mash note to him. This entry was posted in Uncategorized and tagged Amy Lundy, FiveThirtyEight, French Open, Jason Gay, Rafa, Rafael Nadal, Roger Dodger, Roger Federer, Rogerspeak, Stade Roland Garros, Wall Street Journal, Wimbledon, Wimpledon. Bookmark the permalink.